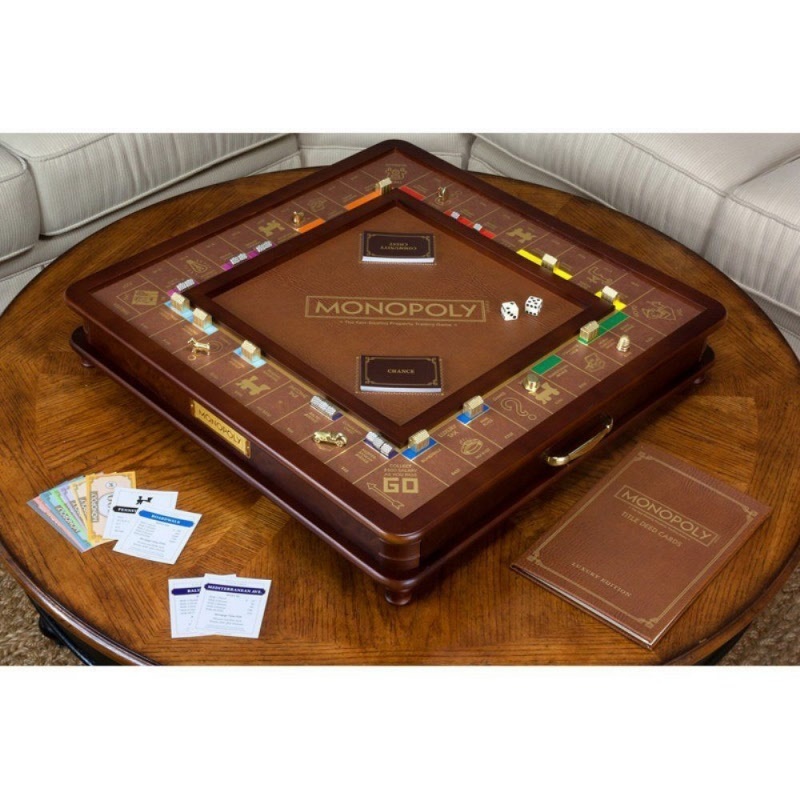 The Monopoly Luxury Edition is one of the most impressive board games you'll ever see and is sure to be the crown jewel of your collection. This elegant two-tone wood cabinet with burled wood veneers outclasses any folding game board. Roll with abandon onto the recessed faux-leather area that keeps the tumbling die away from your houses and hotels. The game path is gold foil-stamped and the pieces are plated die-cast. When the game is over and the losers must clean up, all of your Monopoly money, cards, and tokens can be neatly organized in easy-to access storage and banking drawers. This beautiful game takes your Monopoly experience to an exciting new level that's sure to impress your guests and make playing more fun than ever before. Measures 22L x 22W x 4H inches. Additional limited-time savings reflected in current price. Monopoly with a sophisticated twist. Two-tone wood cabinet with burled wood veneers. 2 storage drawers organize pieces, money, and cards. Beautiful, plated die-cast houses and hotels.